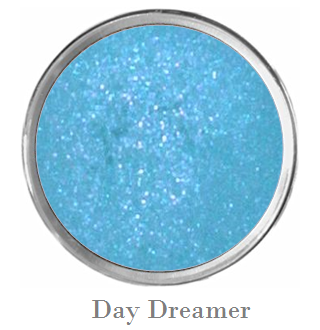 Ever notice that your eye makeup disappears half way through the day? 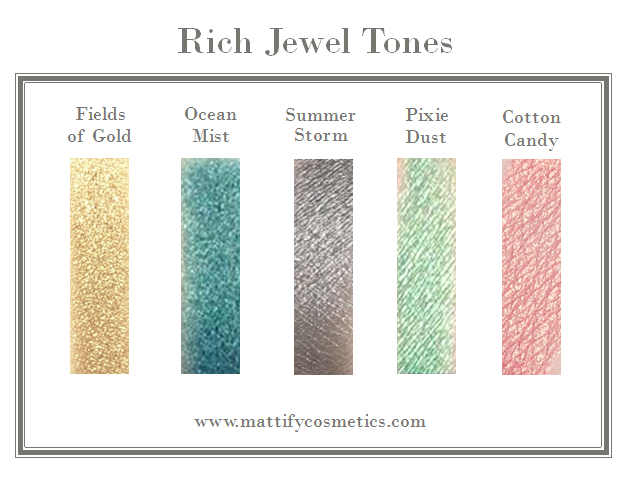 If you have oily skin, this is a common problem. 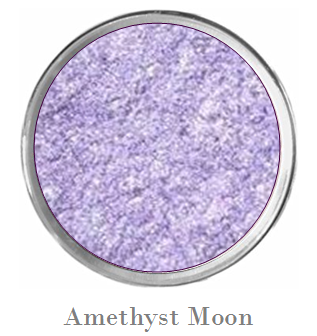 Without the proper base, eye shadow becomes saturated with skin oils - and as a result, you get streaky shadow that fades fast. 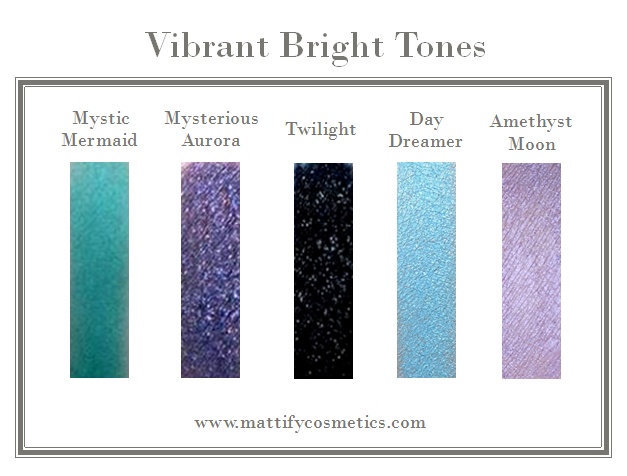 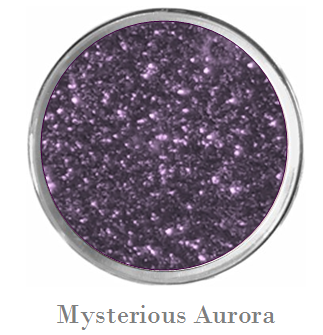 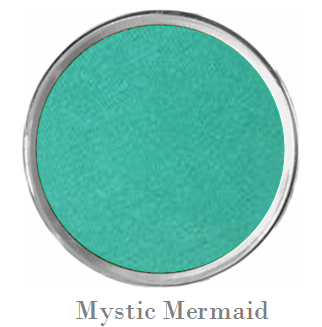 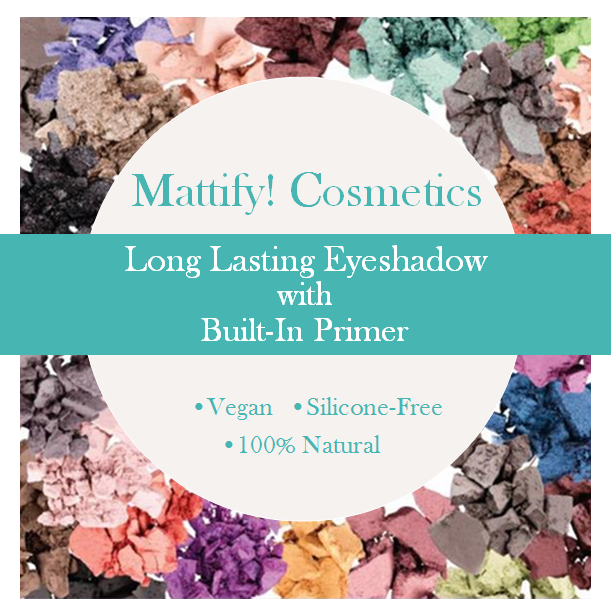 Mattify's cruelty-free, vegan eyeshadow has a built in primer, for long lasting, color-true wear. 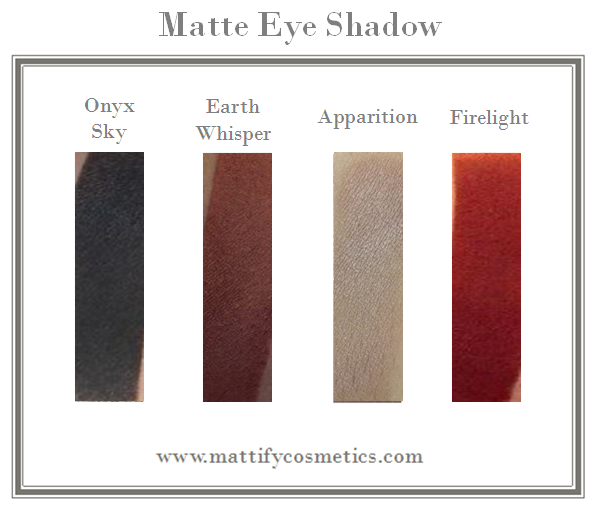 Why is Mattify Cosmetic's Eye Makeup Different? 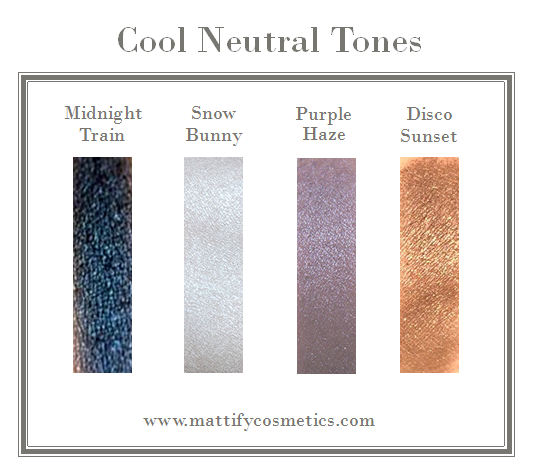 ​Mattify Loose Powder Eye Shadows are the first eye makeup products on the market to contain their own built-in primer! 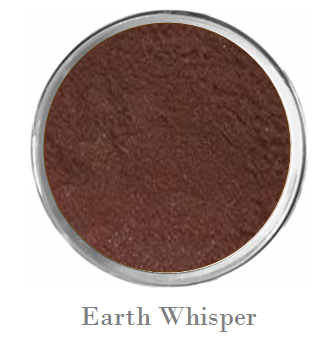 The same Kaolin Clay mixture used in our Oil-Absorbent Powder & Foundation for oily skin is used as the base for our Long Lasting Eye Shadow.